This funding is being used to build a prototype virtual medical reality game in which basic clinical tasks are simulated (e.g. venepuncture, administering an injection, inserting a nasogastric tube). A fixed set of procedures and decision trees for carrying out these tasks have already been developed. A comparison of training effectiveness will be carried out by comparing the performance of virtually trained students, with students trained in the traditional fashion on static simulators in the clinical skills laboratory. 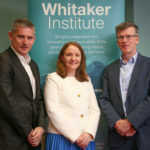 The project will serve as a proof of concept from which to obtain further funding to develop a much larger virtual world in which all 14 basic clinical skills are simulated and where an enormous range of clinical skills could be trained. The gold standard for medical education requires realistic scenario based training that place patient safety as a central theme. However, the cost, scheduling difficulty, and manpower requirements for conducting scenario-based medical training and/or simulator based clinical skills training, means that the amount of exposure that can be provided to students of this type of training is limited. As a result of these issues, the U.S. military has increasingly invested money in creating low-cost video game based simulations and virtual worlds that are both accurate and engaging to train soldiers in what has come to be known as ‘serious gaming’. Healthcare is safety critical and process change often involves major risks: a serious games approach offers a zero risk virtual environment in which students can practice procedures before trying them out on real patients. There is now substantial interest in using serious games in healthcare. Training in a virtual world provides flexibility to the educators in terms of scenario development by exposing medical students to accurate representations of realistic clinical scenarios, and doctor-patient relationships that they may otherwise never, or rarely, encounter. As the environment is controlled, it also allows for standardisation of the scenarios for assessment, and can provide detailed data on student performance. There is also the flexibility to have multi-player games in which other doctors or nurses are also players in the game. The advantages for students is that it allows them to carry out the training outside normal working hours, it is self-directed, and could provide far more exposure to scenario-based training than occurs in a traditional training curriculum. Finally, the virtual world has many possibilities for multi-disciplinary research. For example, the race of the patient could be changed to assess whether this affects the performance of the doctor, or communication could be examined by programming avatars to behave in particular ways and assessing how the players react.